‘Do more crossword puzzles… play a brain-training game… take some ginkgo biloba,’ These are all frequently-cited pieces of ‘helpful’ advice to those who are trying to remain cognitively sharp—especially in their older years. However, evidence remains scant or nonexistent in most cases to support the claims that these activities actually work to keep your brain healthy. 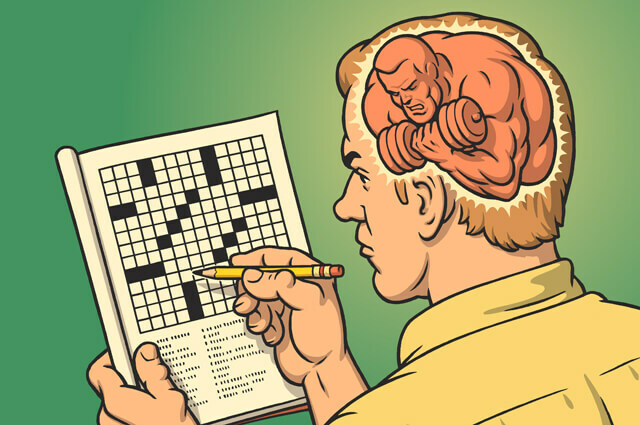 Crossword puzzles have very weak evidence of being able to improve cognition, and even where tenuous links have been found, it’s on very specific types of cognition (most notably cognitive ‘fluency’). But the benefits are thought to come more from basic participation in any cognitively stimulating activities or continuing personal education by the individual—and not the activity itself. Which begs the question what can people do to help stave off the memory impairment that comes with aging—if anything at all? Brain training has taken many forms over the past decade, and various types are available in a dizzying array of formats and styles on smartphones and desktop PCs. It has become a lucrative industry—although it suffered a major blow when the feds cracked down on the popular brain training app Lumosity—but as with many nutritional supplements, there is very little data to suggest that so-called brain training actually does any training whatsoever. Across many studies, there is unbelievably weak evidence for ‘brain training’ offering long-term benefits or anything generalizable to real-world thinking skills. If you haven’t seen the term before, ‘nootropics’ refers to supplements which are purported or marketed to boost cognitive power. The idea of nootropics certainly isn’t new, and humans have been consuming plant-based agents intended as nootropics for millennia, including: khat, coca leaves, ephedra, caffeine (coffee, tea), nicotine, ginkgo biloba, etc. Many elicit their effects through simple stimulation of the central nervous system, causing increased alertness and vigilance by up-regulating the sympathetic nervous system. 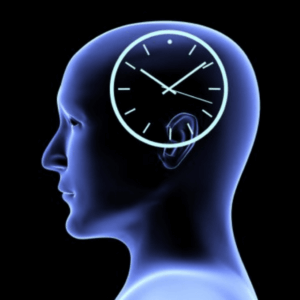 Robust evidence is relatively scant for these supplements on cognition, and where it does exist, it is limited to the short duration of the stimulatory effects, and studies looking at long-term benefits of several weeks or longer are rare. Aside from enhanced alertness, among the nootropics (which are plentiful on supplement shelves) the one with the greatest repeatable effects in studies tends to be nicotine. However, there is one thing that has been verified repeatedly is In a word: Sleep. 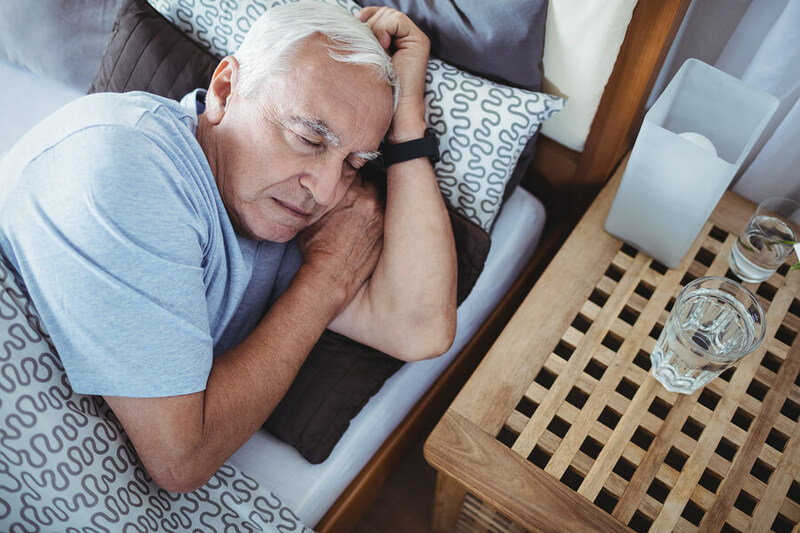 Not only does taking a short nap improve cognition and memory recall, but sleeping (and in particular, slow wave sleep) allows the brain to consolidate neuronal pathways which become progressively stimulated throughout the day of continuous use. This is one of the hypothesized reasons for our need for daily sleep, also known as the synaptic homeostasis hypothesis (the other reason is the adenosine hypothesis). There is also a three-pronged pathway of substructures in the hippocampus – long known as the seat of memory – which is crucial for the replay of learning amassed from the day’s activities. It’s known as the trisynaptic pathway, and mice who had their hippocampuses’ trisynaptic pathways blocked had severely impaired abilities to retain memories and improve behavior and performance in learning tasks—giving us direct evidence for the importance of this neurological path in remembering (and later using) new information. In fact, when mice were given maze challenges and then allowed to sleep (with normal function in their trisynaptic pathways), they ‘replayed’ the memories of the maze path in their sleep via their place cells, thus helping to consolidate the memories and improve their successive performance in following days. Other rodent studies show that sleep also increases the density of new synapses that form after a learning task. Mice were divided into two groups and given a dexterity challenge (navigating a rotating walkway); then one group was allowed to sleep a full night while the other group was kept awake. The mice allowed to sleep showed increased numbers of new synapses compared with the sleep-deprived group. The beauty of sleep is also that it doesn’t come with a narrator reading off side effects such as increased risk of cancer, cardiac effects, nausea, etc. And it’s free. Unfortunately, as humans we tend to discount the benefits of those things which are offered to us free of charge by Mother Nature. This is related to our ancient and adaptive mechanisms of search and foraging—we are handsomely rewarded by finding something new or surprising (such as a new source of fresh water, grove of fruit trees, location of game animals). Likewise, when we come across new and different things (such as a new diet supplement or nootropic), we quickly adopt them. We have a proclivity to engage in cause-and-effect thinking: ‘Taking something must be better than not taking something.’ It seems that if we want superlative performance, we need to spend on something to get there. The truth of the matter is that in many cases, the body’s homeostasis is such that even consuming bioenhancers (performance or image enhancing drugs) chronically leads to down-regulation of endogenous biochemicals necessary for proper performance. Those who acutely or chronically overdose on nicotine, caffeine, amphetamine, and other such substances find that their effects soon become antagonized in the brain, and basic performance is compromised. A version of this story originally ran on Sept. 21, 2016.